Simplified Chinese: 你好 pinyin: Nǐ hǎo! 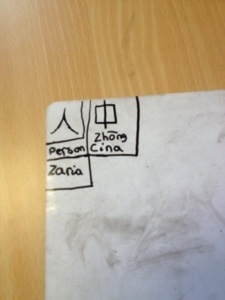 We had our first lesson in Mandarin today! 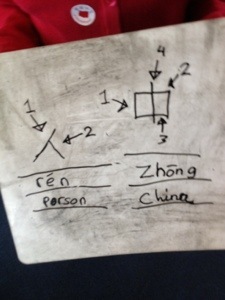 See our first Mandarin character practice! colours vocabularyThis week we have been thinking again about colours. Fabulous video to help your revision of winter words in Chinese! Year 2 have been thinking about French and languages at home! 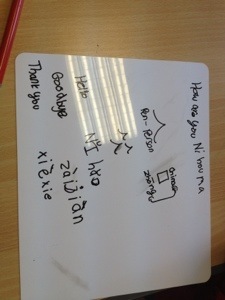 Members of Year 2 have been thinking about French and other languages at home recently. Some clever boys have even gotten their family to help! Tyler’s Grandma helped him learn the numbers to 20! Iklhas’s older sister has helped him look at THREE different languages. Iklhas has written out numbers, colours, months and days of the week in French, German AND Spanish. See some of them in the photos! Ellie has drawn a picture of Père Noël too!